iBuildApp App Builder has released Backup service for iPhone and Android app that is similar to iCloud and Titanium pro apk. In this article you can learn how to make reserve copies of your mobile apps using iBuildApp's backup service. Your iPhone gets backed up on the iCloud quite regularly, so there's no reason you shouldn't implement a system where you make a copy of your business app. For example Apple has the following instructions How to back up your devices using iCloud or iTunes. Make a backup using iTunes's iCloud storage. Connect your device such as apple ipad and iPhone to a Wi-Fi network. In iOS 8 or later, tap Settings > iCloud > Backup. Make sure that iCloud Backup is turned on. Tap Back Up Now. Make sure the backup finished by tapping Settings > iCloud > Storage > Manage Storage, and then select your device. Download Titanium Backup for Android that backs up users and your phone system and user applications including data on external storage. It is one of the best Android apps that uses root access to get all your important apps and data from the system and stores them for future restoration. Apps on Titanium Appcelerator platform that run on iPhone can backup up their data to iCloud service from Apple. Let's say you try to edit a part of your app, moving around pictures, videos and changing some of the homepage tabs. You accidentally delete your online store and want to bring it back. There are also chances that you receive a malicious attack, someone in your organization accidentally deletes something or technology fails you during the design process. The first part of this tutorial is pretty self-explanatory, but it's a necessity for you to try out creating reserve copy of your app. Go to the iBuildApp app template store to select a solution that works for your business. 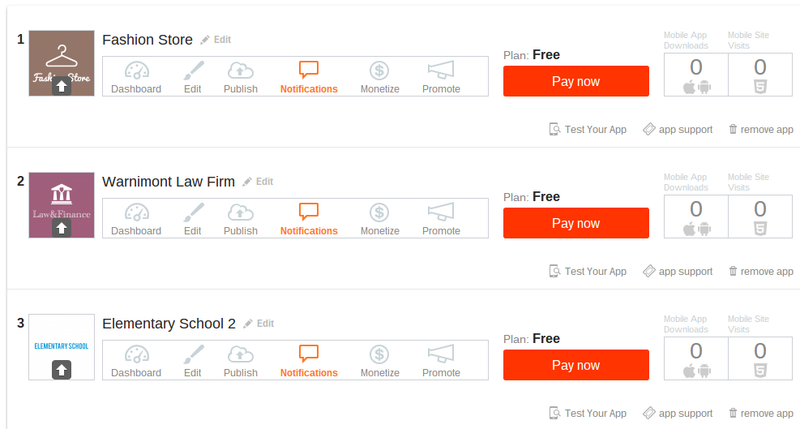 In the event that you already have an app generated, go to the My Apps page to select app. Select the Edit tab for the app of your choice. The new interface shows quite a few pages that you can edit for your mobile app, but just to the right of the Edit Pages header is a Backup button for you to click on. Select this option to move forward. A popup will reveal itself and tell you that you haven't created a copy of your app yet. 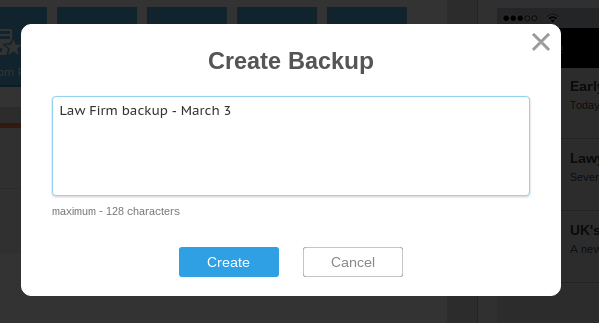 Click on the Create Backup button. Since you may end up making several copies, it's a good idea to develop a description that you can refer back to in case you need to restore your iphone and android app data backup. Stating the date of your iPad, iPhone and Android reserve copies works well, along with any other information that you are interested in remembering. Select the Create button once you've completed filling in the description field. This theme lists your iPad, iPhone and Android backups similar to itunes icloud or titanium pro apk along with any other copies you've made in the past. As you can see, each copy is timestamped, so the description doesn't actually need to include a date if you don't want it to. However, some other tips for descriptions include the types of pages you have or the person who made the reserve copies in your organization. As with all technology, you may end up losing some of your data due to a technical error, malicious attack or when someone in your organization accidentally overwrites something important. 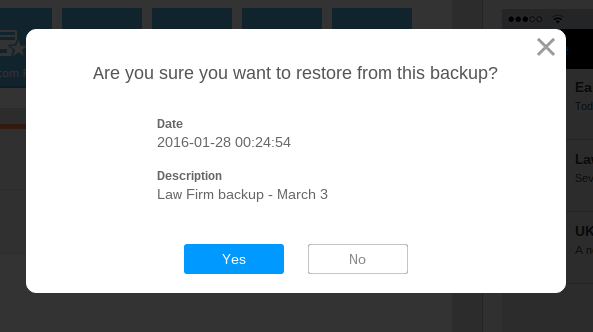 Regardless of whether you are working with an Android or iPhone app or using iCloud, all you have to do is open up your list of backups and click on the Restore button similar to titanium pro apk. Make sure you locate the right copy based on the date and description, then click on that Restore button to bring back all the data you saved at that particular point in time. 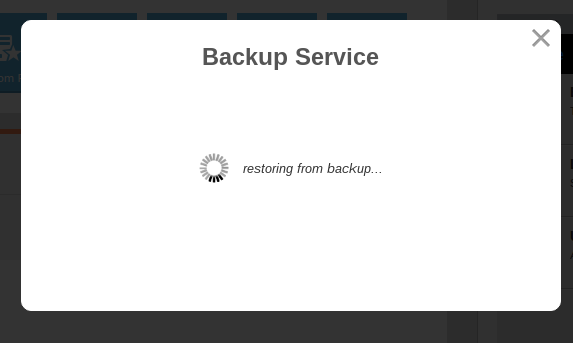 A popup will reveal itself asking you if you're sure that you want to complete this restore process. Hit the Yes button once you're completely certain of what you're about to do. Upon completion of the process, you'll see a confirmation page. Simply click out of this pop up and go back to your app to ensure that all of the iphone and android data from your mobile app backup was successfully restored. If you find that a page, image or text block is missing, there's a chance that you selected the wrong backup file. Therefore, go back to the list of backups and try one of the other ones. Does it look very familiar? Something how you do it to backup iPhone to iCloud similar to titanium pro for Android apk. iBuildApp allows its customers to restore app data for their users immediately. Users can also restore backup data that had been saved via the Restore option for backed up phones. This is very similar to iTunes backups for iPhone, iPad or Titanium Backup that is one of the most popular apps on the market for android devices. We recommend backing up your apps on a weekly or monthly basis. If you have any questions about how to backup iPhone or Android apps using iBuildApp or iCloud that similar to titanium backup pro apk, feel free to drop a line in the comments section below.